which makes it a perfect recreational stand up paddle board! Xtream is a powerful surfboard for large sized surfers and the smaller/average built guys, a feature Torque Jetboards didn’t take into consideration in the previous model. Specially optimized for stability and buoyancy, Xtream is capable of reaching top speeds of 50 km/h. Created by Australian developers who know what a good wave is, this board should be a lot of fun to ride! JetFoiler lets you glide over the water like that famous hover board from the back to the future movie! Amazing stuff! This hybrid surfboard is more efficient than your traditional electric surfboard allowing for more enjoyable experience with minimal drag. This amazing luxury surfboard is all-electric and primarily made out of carbon fiber. 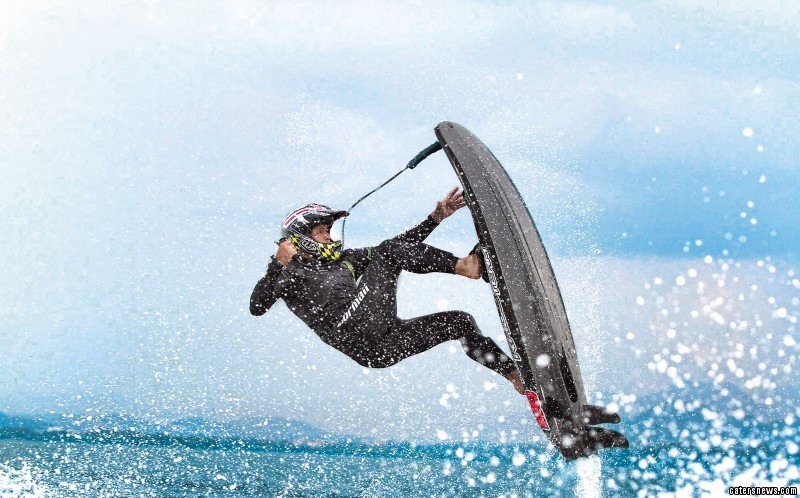 Radinn’s Wakejet can reach up to 29 mph. Regardless of all this, Radinn has found a way to make their surfboard fast and noiseless, and as a plus, it gives off zero emissions. So if you’re a environmental enthusiast like most surfers are and love luxury water toys, then you’ll most definitely love the Wakejet. SurfRebel is a 15 HP motorized jet surfboard. Created by talented German engineers with the aim fulfilling one major thing — having fun! So for those looking to enjoy water sports without having to stress yourself too much, then maybe the Rebel is just the right surfboard for you. What’s most amazing is that this electric board promises 40-55 min running time which is huge! Aquilla’s twin models come in at number 5. The Onean Carver and Manta were both created by a team of talented Spanish enginneers with the goal of ending the need for waves to surf. Working with its name, the Carver was designed to carve up water, and was intended for more experienced surfers, while the Manta is intended for causual surfers and beginners. They both have footstraps, a wireless remote, battery and a leash. Great design and affordable price comparing to other models make it one of the top picks! MXP-3 is another fantastic electric surfboard made in Berlin! It was created by the Germany company, Waterwolf. It is a great board that gives local surfers a chance to ride and experience waves like the Pro’s. MXP-3 is more of a hybrid water toy; part watercraft and part surfboard, this machine is able to punch its way across flat water surface at speeds of up to 21 mph (35 km/h). According to its developers claim, the “fastest” electric surfboard in the world, Lampuga comes in at number 3. With an improvement from the previous model, the current Lampuga runs at a top speed of 38 mph! Although the company went bankrupt earlier this year, we still expect some good news and new big things from the team behind it, if they continue to operate. The body of this board is made of carbon fiber composite materials; this makes the Lampuga lightweight and durable, as well as having a cool aesthetic view. It spews water from its tail to get you in motion while at the same time maintaining a silence that keeps the rider relaxed and comfortable for the duration of the journey. The eFoil is another hydrofoil/surfboard hybrid. It was manufactured by Liftfoils. The eFoil is equipped with a custom water proof lithium battery. It also utilizes advanced carbon fiber materials in its design. Speaking of design, the eFoil is sleek and engineered in such a way that it can be taken apart and reassembled, this makes transportation easy. Battery lifespan is 1 hour and the Top speed: 15 mph! Jetsurf is the brainchild of engineer Martin Sula. The motorized board smoothly combines surfing and snowboarding style. This synthesis has created a whole new way of enjoying waves at high speeds. Extremely portable and lightweight, Jetsurf comes in 3 variants; Pro Race, Ultra Sport and Factory GP100. Coupled with their amazing design, they possess Kevlar construction and carbon fiber, including an electronic leash which has a dual function as the throttle and the emergency kill cord. This petrol surfboard has successfully dominated the market over the last few years, creating a new way of enjoying waves at high speed!